Jason Nabewaniec was catapulted into political activism when after having spent several years working for the Monroe County (NY) Water Authority and having witnessed the massive corruption that plagued the local public authority, he decided to fight the leaders of the political parties using Government services for personal profit. Nabewaniec enrolled in the Green Party of New York in 2000. Then in 2002 he met Green congressional candidate Rachel Treichler and became inspired to commit to building the Green Party. 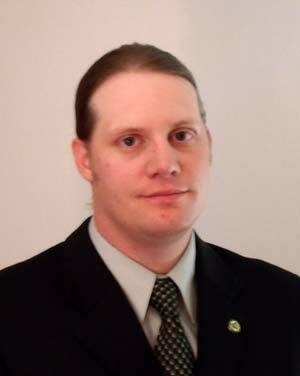 He spent the next several years working on party building and campaigns with the Green Party of Monroe County, including serving as the county party Chair. Currently Nabewaniec chairs the Green Party of New York State’s Campaign Committee, has served on numerous Green candidates campaign committees and as part of the GPUS Coordinated Campaign Committee. A Green National Committee delegate from New York since 2004, Nabewaniec was first elected to the GPUS Steering Committee in 2007 and is now serving his second, two-year term on that body. A New Yorker by birth, Nabewaniec grew up in Jamesville, just outside of Syracuse, where he attended Jamesville-DeWitt High School. Later he attended the Rochester Institute of Technology (RIT) graduating with a BS in Civil Engineering Technology in 2001. Nabewaniec played defense on RIT’s Lacross team, and specialized in jumps and sprints on both RIT’s indoor and outdoor Track and Field Teams. Today Nabewaniec lives in Rochester, NY and is working as a design engineer in the public sector, while finishing his Master’s thesis in Environmental, Health and Safety Management at RIT. Nabewaniec’s priorities for the Green Party include developing a strong and sustainable financial foundation for the party to support its core needs and basic functions. He seeks a broad based fundraising effort that engages state parties, GPUS committees and GPUS delegates. For more information: Jason Nabewaniec on Wikipedia.